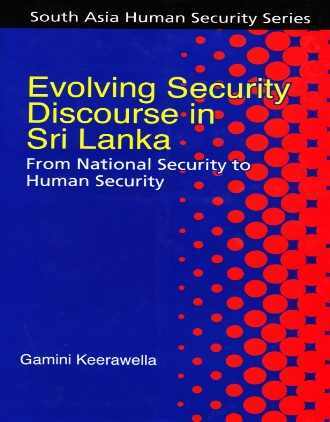 Gamini Keerawella is presently head and Professor, Department of History, University of Peradeniya, Sri Lanka. He was the recipient in the Department of Politics at the University of Western Australia in 1991 and the Senior Fulbright Fellowship at the University of California, Berkley, USA in 1993-94. During 2003-04 he held the Visiting Research fellowship in the Institute of Developing Economics, Tokyo Japan. He also served as the Secretary, Ministry of Ethnic Affairs, National Integration and Mineral Resources Development (2001-2002), the founder Director, National Integration Programme Unit, Ministry of Justice, Constitutional Affairs and National Integration (1997-2000) and advisor to the President of Sri Lanka on Peace and National Reconciliation (2002-2003 and 2004-2005). Prof. Keerawerlla’s research interests include conflict management and peace building processes in multi-ethnic societies and issues relating to post-colonial state-formation and national integration. He has contributed a number of articles to international and Sri Lankan journals including Asian Survey, Canadian Journal of Communication, dialogue (Colombo) and Social Science Review and numerous chapters to many international publications.